Scientifically Speaking: Hooke and van Leeuwenhoek would be amazed! Hooke and van Leeuwenhoek would be amazed! The microscope was invented 400 years ago, and wow, has it changed over the centuries! Today, there are many inverted digital widefield microscopes available, with functionality that enables brightfield imaging to multi-channel fluorescence imaging. Most of these use the same basic design and are useful for many manual microscopy tasks, with automation typically available through add-on modules. 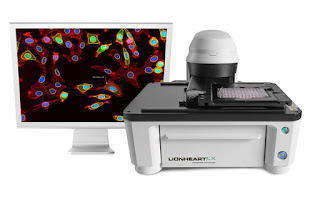 BioTek’s new Lionheart™ LX Automated Microscope brings a new perspective to automated imaging. 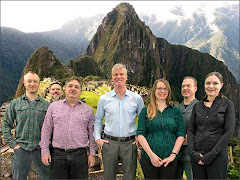 It is designed with affordability in mind, offering an alternative to expensive, custom-built automated microscopes that can be complex to learn and use. Along with Gen5™ software, Lionheart LX enables Augmented Microscopy™ to fully automate image capture, processing and analysis which can help increase your research output. Read some of latest Application Notes to learn more about how Lionheart Automated Microscopes can automate a variety of microscopy workflows.